Featured » Watch Out for Salamanders! 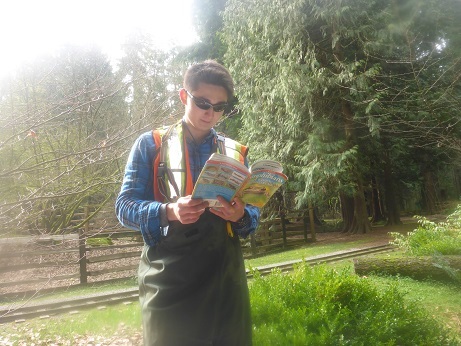 Spring is exciting not only because it’s finally warm and sunny again, but because some of Stanley Park’s intriguing creatures are emerging back out of the soil! Salamanders hide under logs and leaf litter to escape either freezing temperatures or dry conditions. So, when warmer spring rains come and the salamanders emerge, we’re out searching for these moist-skinned creatures. The SPES Conservation team and volunteers are surveying amphibians from February to the end of the summer, conducting pond-breeding surveys and terrestrial cover-board surveys. The 12 cover boards installed around the Park provide a moist and cool habitat for terrestrial amphibians to rest. 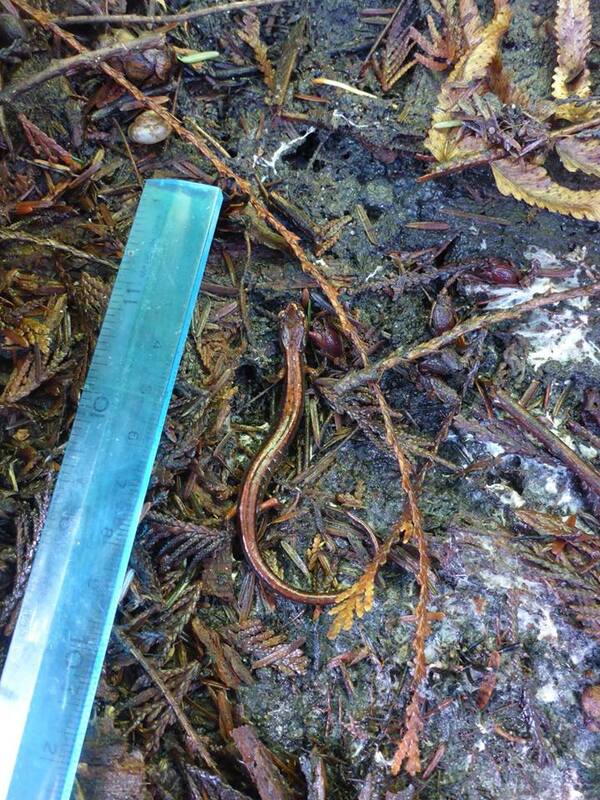 So far this year, we have observed Western red-backed salamanders and Ensatina salamanders using the cover-boards. It’s important to not lift or move the cover-boards if you see them, as this can alter the survey and disturb the sheltered salamanders. We haven’t seen roughskin newts in the Park in a while, so if you spot some, please share the excitement with us on Facebook, Twitter or Instagram! Interesting fact: roughskin newts are the most poisonous amphibian in the Pacific Northwest with enough poison to kill 25,000 mice! Unless you eat one, though, this species poses no threat to humans. Want to see amphibians? Keep an eye open at the Park’s lakes, ephemeral ponds, and while hitching a ride on the Stanley Park Railway when it passes over the ponds – you’ll have a good chance of seeing the grapefruit-sized Northwestern salamander egg masses, possibly the most established species of salamander in Stanley Park. Listen for native Pacific chorus frogs and non-native American bullfrogs and green frogs calling loudly around Beaver Lake at sunset. A big thank you to our dedicated amphibian volunteer surveyors: Jeff Shannon, Douglas Gooze, Terita Deare, and Kendall Mclaughlin!